Hey Summit Church! We are planning a very special Family Night on Wednesday April 17. We will be having a Passover Meal. The church will provide the food for the evening. All family members will attend. We will provide a nursery for those who need it. This will be a very moving experience as we make God’s Word come alive! Pastor Orman Gwynn teaches Experiencing God. Pastor Pat Bullock has started a new study out of the book of Proverbs called Living by God’s wisdom. FAMILY MEAL FOR ALL – NO CHARGE AT 5:45 P.M. DYNAMIC CLASSES AND ACTIVITIES FOR CHILDREN OF ALL AGES INCLUDING YOUTH, AND ADULTS AT 6:30 P.M.
We have a collection box in the front church office. Please bring canned vegetables and fruit, macaroni & cheese, pasta, rice, beans, tuna, canned chicken, soup, or other nonperishable items to help others in need. Let’s all invite our friends and family to attend worship with us this Sunday. 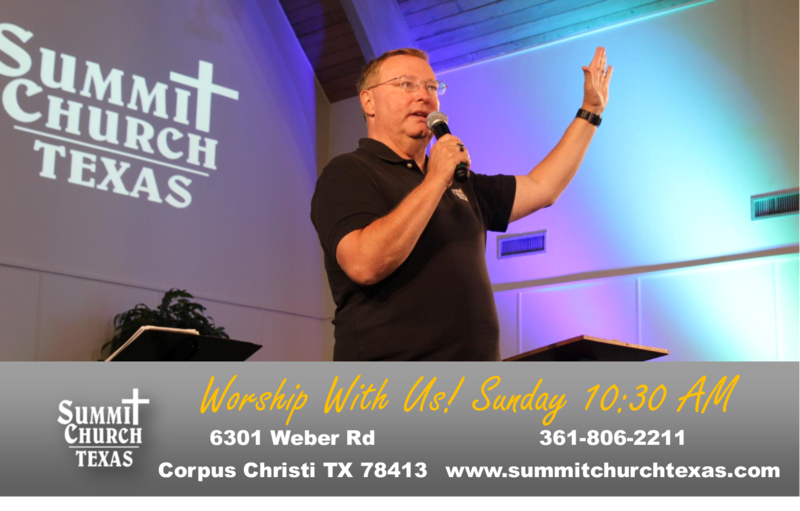 Summit Church Texas is located at 6301 Weber Rd in Corpus Christi Texas. We have regular services on Sundays and Wednesdays.